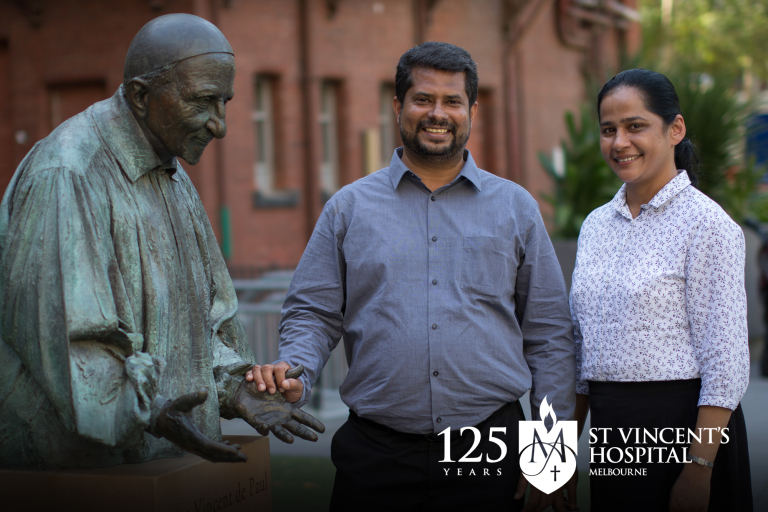 A delegation from the Catholic Health Association of India has visited St Vincent’s ensuring the continuation of a scholarship that provides training, mentorship and research opportunities for healthcare providers in India. The scholarship that started two years ago honours Dr Sr Mary Glowery — an Australian-born doctor who served as a missionary Sister-doctor in India from 1920 to 1957. He said 55 scholarship recipients received training so far. Some of them came to Melbourne and some trainers went to India to conduct the training there. The Catholic Health Association of India is a network of 3,500 member institutions and they provide primary, secondary and tertiary care to people across the country. Another member of the delegation visiting Melbourne is Sr Dr Beena Umi, who is President of the Sister Doctors Forum of India. As part of the scholarship program, she is one of twenty sister doctors who undertook a short course on healthcare design and implementation, and also visited the palliative care departments of St Vincent’s, Peter MacCallum Cancer Centre and Royal Children’s Hospital. Sr Dr Beena said more than 90 percent of the sister doctors in India work in rural areas and some of them see more than 100 patients a day. “I’m very grateful to St Vincent’s Hospital,” she said. “They were very receptive and cordial, especially the Palliative Care Department. They are very generous and supportive”.